“There’s nothing I can do about it; I’m in despair,” can often be heard even from those parishioners whose experience in the Church has already enabled them to cope with many other internal problems. 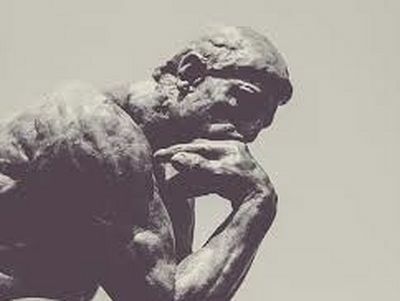 Melancholy, defeatism, mood swings, chronic fatigue from self and circumstances—it seems this is characteristic of believers of modern times moreso than of any other. 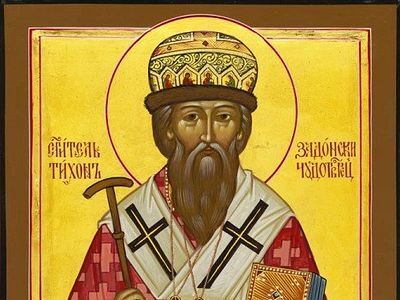 But it’s worth it to remember that the saints experienced the same feelings—several—for example, St. Tikhon of Zadonsk. St. Tikhon of Zadonsk (Timothy Savelevich Sokolovskii in the world) was born in 1724 into the family of a village cantor. Soon after birth he lost his father, and his mother was left with six children in such great need that the boy was raised, as we would say now, in a large crisis family. He was nearly given to a neighbor, a coachman, to be reared, because there was nothing with which to feed the family, but his older brother pleaded with their mother not to part with the infant. When Timothy was a bit older, he had to go to work for rich farmers, for a piece of black bread a day. His early years, spent in hopeless poverty, left a mark on the soul of the future ascetic. At the request of his older brother, obliged to support the boy by his own, rather meager funds, Timothy was enrolled in the Novgorod Slavic spiritual school at the archbishop’s house. The future holy hierarch was among the best students, and during his later years of education he was already teaching the Greek language at his own educational institution. In the process of the development of his spiritual powers, the whole depth of theological education was opened before Timothy, patient and hardworking. Continuing to lead the modest, solitary life of a young teacher upon completion of seminary, he inclined more and more towards adopting monasticism. In April 1758, Timothy Sokolovskii was tonsured in monasticism with the name Tikhon. After his tonsure, he was called to St. Petersburg and ordained as a hieromonk, then was deputy abbot of a number of monasteries. In 1763 in Novgorod, where his spiritual path had begun, Archimandrite Tikhon was endowed with the hierarchical dignity, and was almost immediately appointed to the diocese of Voronezh. The cathedral city left a painful impression on the bishop: The church buildings astounded him with their dilapidation, and the Church life with its neglect. In the large diocese—from Voronezh to the Black Sea—the shortage of clergy was felt, and the population, dispersed throughout the plains, was ignorant and superstitious. The archpastor had to embrace the care of over 800 churches. Can a mortal man have such strength? The untiring fulfillment of his duties led to a total breakdown of the hierarch’s nervous system. He almost couldn’t serve out of dizziness, shaky hands, and fainting. Having realized that his failing health would not be restored, Bishop Tikhon wrote a petition to the Holy Synod to retire. They refused him, advising him to seek more intensive treatment, and Vladyka found himself in a desperate situation. Having the habit of obedience, he continued to labor until insomnia and frequent rushes of blood to his head made it impossible for him not only to serve the Liturgy, but to fulfill his duties in ruling the diocese in general. Then, by order of the empress, he was sent out of state. The Holy Transfiguration Tolshevsk Monastery became his new place of residence, and then he resettled in the Zadonsk Monastery of the Theotokos, sixty miles from Voronezh. There the ascetic wrote books produced by the fruit of his contemplations on eternity and on people: A Spiritual Treasure Collected From the World and On True Christianity. In his years spent in retirement, at times a heavy, restless state of soul would forcefully grip the saint. The ascetic was grieved that he labored little for the Church. Clean air and rest from nervous overload markedly strengthened his ruined health which caused him to leave the activities of a bishop at the relatively young age of forty-three. Now, his solitude and leisure in the unhurried living of the monastery seemed more burdensome than any work to his soul so full of strength; the holy hierarch was all the more enveloped by a gloomy tedium, impelling him to seek activity beyond the monastery walls. But his departure did not pan out, and the words of the simple but respected-in-the-monastery Elder Aaron—“The Mother of God does not will him (Bishop Tikhon—Ed.) to leave”—prompted the bishop to tear up his already-written petition to return to his work. This period of life—uncertain and quite slow externally—was one of the most important in the life of the saint. It was a time of desperate and total battle with his thoughts, of overcoming the spirit of melancholy, despair, and despondency, and of a reassessment of his life circumstances; in the end, his soul acquired the priceless experience of overcoming, and with that the boldness to comfort the despairing, those experiencing a loss of the meaning of their existence, and those perishing in gloomy uncertainty. The retired bishop decided not to try to change his current position anymore, inwardly coming to the conclusion that his sole path to deliverance from melancholy was in serving people in that place and situation in which he found himself, and in wholly devoting himself to spiritual works and bodily mercy. 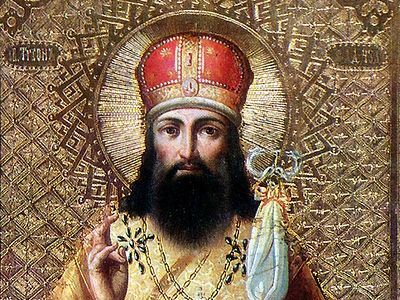 The constant themes of the Zadonsk ascetic’s contemplations were the Christian dogmas of the unfathomable greatness and omnipotence of God, of His omniscience, omnipresence and goodness, and of His good care and concern for man. All of this aroused in him holy feelings of gratitude, hope, patience, and love. During one of his visits from the Zadonsk Monastery to the Tolshevsk Monastery, the saint, praying in solitude in an empty church, stood on his knees in fervent prayer in front of the altar around midnight, and besought the Lord to show him the bliss prepared for him, having endured earthly sorrows to the end, and the Lord did not delay. Vladyka saw the heavens open and a light shining from them, and he heard a voice: “Behold what is prepared for them that love God.” The holy hierarch fell to the ground, and when the vision had ended, he barely managed to reach his cell, in extreme shock and blessed trepidation. Rising ever more spiritually, the saint grew bodily weaker with every day. Those illnesses which had forced him to retire returned again to him. Sensing his impending death, Vladyka Tikhon retired into reclusion, from where, by his vigilant love, he answered his spiritual children only by letter. He reposed in his fifty-ninth year of life in a peaceful spirit, having bid farewell to his friends and loved ones. The last letters of this spiritual father fully reflected that blessed peace of heart given to so many who have suffered from inexplicable melancholy and ascetics of sorrowful spirit after many years of labor. It is no accident that people quite often turn to him in prayer with requests for help in overcoming despondency and despair and finding emotional balance in difficult circumstances. He who hearkens to the word of God does not hearken to man, but to God Himself; and he who does not hear the word of God and does not live according to the word of God, the same man God, Who speaks through His Word, does not hear. Let us listen to the Son of God, as the Heavenly Father exhorts us, and having laid aside all earthly cares, may every one take up his cross which will be given by Him, and follow after Him that He may guide us to His Heavenly Father. In Memory of St. Tikhon of Zadonsk: "He Who Does These Things and Teaches Them Shall Be Called Great in the Kingdom of Heaven"
Archbishop Mark of Philadelphia and Eastern Pennyslvania In Memory of St. Tikhon of Zadonsk: "He Who Does These Things and Teaches Them Shall Be Called Great in the Kingdom of Heaven"
Ultimately, physical illnesses or the death of a loved one are opportunities to reflect upon the brevity of earthly life and ponder the reality that we are sojourners in a foreign land with our real homeland being in heaven with Christ and His saints.